This is a review about a new site, that is similar but better than Pinterest. Learn about its various features and what you can do at netboard.me. If you are a writer, an Etsy store owner, an affiliate marketer, you won't believe what you can do here, that you cannot do on writing sites without being flagged as overly promotional, or having your affiliate links removed by Pinterest. Adsense: No more applying for Adsense. You can add Chitika ads. Skins: There are many skins, board background, that you can choose from and change whenever you want to. How Many Boards Can You Have? You can then post your images, content etc under each specific category and on your main recipe board or another board you might like to share your recipes on. Rules: Face it, every site has rules. The rule here is that you cannot post forbidden topics that Adsense and writing platforms do not permit. Are you tired of no response at all or simply a canned message full of links. CUSTOMER SERVICE:; Customer service at netboard.me is wonderful. I have sent emails about something that I don’t understand and have had a reply with instructions provided within minutes. Not only was I given instructions, but I was also told what I had done incorrectly, or whether or not I simply missed something. If I wanted to do something and could not find the capability to do it, again I sent an email and got a reply with a yes, you can do that and this is how you do it. They take the time to actually write a response, instructions etc. Customer service is always open to suggestions from members. They do respond to you about your suggestion. It may be something in the works already, or it may be an idea that they want to consider. Your response is a personal one. You can also send questions, even post your board to the community page on Facebook. Email: Send emails from the site. Maybe you want to share something via email. Text boxes: If you use the rich text box, it is just like those found on your other writing platforms and has the capabilities of Word. You can add images, images with links, tables, etc. Update: The Rich Text box has been removed, but the text box now has the capabilities of word, just like the Rich Text Box had. Once you click in text box, the tool bar is located at top of page. Images: Add an image, maybe your new Zazzle product, from your computer and then add the link to it. 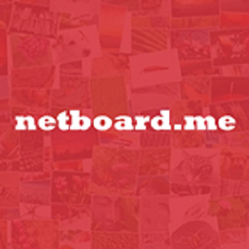 You can read more about netboard.me. Do not add .com to the link. It is as shown here. Go to top of page, black strip and click on Explore. Here you can see the various boards. There is a search button where you can search for boards, by topic, that you may be interested in. Amazon: Not only can you post a product image with your associate link to it, but you can add your Amazon Astores, Widgets, etc. You can also share from Etsy or even your Ebay products. I started getting more traffic as well as hits on products within 24 hours of creating some of my boards. I am still tweaking what I have done thus far. There is a bit of a learning curve, but essentially all you need to do is play with the site, and see what it has and how it works. Create a board, play with the features, then simply delete it, if you don’t need or want it. This site is totally free to users. Although I am still posting on Pinterest, however, I prefer this site. My Astore on netboard.me. Click on my image and go to my account page. Check out my boards. Have fun. Click on images, etc to see what happens. Step by step instructions about functions, where they are located, how to create your first netboard, how to edit, add images, adding Amazon A store and more. There have been changes made to this site, which has added new capabilities. I, as a member, have received this email from them today about the changes, in it's entirety. Posts will be sized automatically in order to fill blank netboard space. You are still able to resize and reorder your posts. This layout will be enabled for all newly created netboards by default. Switch your netboard to the edit mode and select "Minimize blank space" option in the Layout menu to enable it for existent netboard. We've improved netboards SEO for all dynamically loaded content. Now you can customize Title, Description and Keywords tags of each of your netboard. Click "Title and meta tags" option below the image of your netboard to change them. You can post Zazzle products links with your referral ID just like you post any other links. Or you can select Zazzle Associates option in the Ad menu and paste HTML code suggested by Zazzle for banners and for embedding of products links. Each time a visitor clicks on your referral link and makes a purchase on Zazzle, you can earn a 15% referral fee on that sale. It’s free! Now you can add the text and links below the posted image, video, uploaded file, etc. Previously only the caption was supported. You can provide LinkedIn profile link in the "About me" section. No more grey boxes on ad posting. Now you can see the posted advertisement just after you click Add button. I still use it. I don't have any indication that I am getting traffic from them though. I do get some Amazon clicks, but no sales from there. This certainly looks like something I need to add soon. I will go to the site and look it over. I have a tracker ID for Amazon, but when people click on something they are taken to original link. I have not seen them listed on my traffic sources for my websites. The only way I can think of is to create some posts that are for the site, meaning when we share it on social networks, the url will be a netboard url. We might be getting traffic from other members, but so far I have been unable to tell if I am getting traffic from there or not. Thanks for the tip. I've made a few boards and will be adding Zazzle items. Not sure of the traffic it's getting? I use it a lot. I don't know if I get any traffic or not from it though. This is a welcome tip, Linda. I will definitely look into it. LOL! I did an How To article for Netboard.me to here on Wizzley. I am starting to get traffic from them. Now they allow people with Zazzle stores, and Zazzle affiliates. Have added meta tags and other SEO capabilities. Thank you, I am always open to new ideas to learn and grow. I love it!!! it is similar to Pinterest but you can do a lot more with it. In fact, you could create a website, to some extent, with it.